Have you read Disability Living’s blog post on Goldenhar syndrome? It explains a disfiguring birth defect that severely affects a person physically, emotionally and socially. This week Disability Living is blogging about disfiguring birth defects and their resulting symptoms. Do you follow the Disability Living blog? 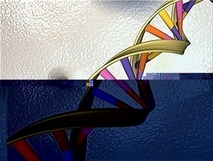 Many birth defects have genetic causes. What about Goldenhar syndrome? Interestingly, Goldenhar syndrome does not always have a genetic cause. Sometimes Goldenhar syndrome results when an embryonic vessel bursts. The burst is usually restricted to a small area — this can result in a child being born with an asymmetrical face. Another result can be problems in other parts of the infant’s body. Additionally, blood clots can cause Goldenhar syndrome. It is also worth noting that many medical professionals believe that Goldenhar syndrome is caused by genetics. Does a person with this birth defect begin developing at a normal rate after birth? When a child who is affected by Goldenhar syndrome is growing in his or her mother’s womb, one side of that child’s face will develop at a normal rate while the other side will slow down in development. When an infant who has this birth defect is born, his or her muscles, bones and organs continue to develop at a slower rate. This is because an underdeveloped process of growth was programmed while the child was in the womb. What do you believe causes Goldenhar syndrome? Does your loved one have Goldenhar syndrome? If yes, what do you believe is the possible cause of this particular birth defect? Leave a comment on this blog post to share your thoughts with us today. The National Benefit Authority is Canada’s leading service provider of the Disability Tax Credit, a disability program that offers financial support to people with medical conditions, including Goldenhar syndrome. We’ve helped over 40,000 Canadians successfully receive their Canadian disability benefits! Image made available by PetroleumJelliffe on Flickr through Creative Commons License.